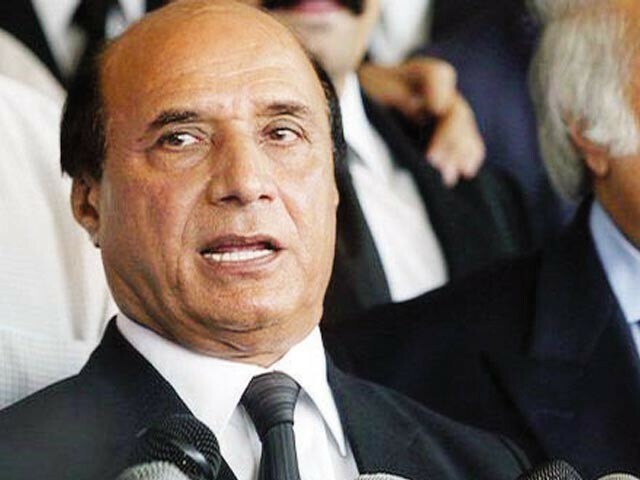 ISLAMABAD: Former governor Punjab and leader of Pakistan Peoples Party (PPP) Sardar Latif Khan Khosa has said that PPP is all set to challenge section 203 of Electoral Reforms Act-2107 in Supreme Court (SC) and the Act would be challenged within a couple of days. Talking to Online on Thursday he expressed these views and predicted that Pakistan Muslim League-Nawaz (PMLN) is heading towards a confrontation with Pak Army. Talking about PMLN chief’s return to London, former governor Punjab said that he came to Pakistan, augmented the gulf between the institutions and run away, if he does not come back, he would be declared absconder and his property would be confiscated. “The interior minister ashamed government and the state and showed that how weak he really is,” Khosa mocked. “Nawaz Sharif has a habit to bite when he is in power but when he comes down he starts touching feet but PPP is not ready to be deceived so no concession would be granted to him,” former governor Punjab said referring to Nawaz. He lamented that PMLN wants to ruin remaining institutes as the party wants a confrontation with both Army and Judiciary and the country cannot survive without strengthening these two institutions, he added. Khosa said that dream of Pakistan Tehreek-e-Insaf (PTI) to change opposition leader in National Assembly (NA) has failed and they are not giving any names for chairman National Accountability Bureau (NAB), on the other hand, PPP is consulting with other parties for finalisation of the name, added Khosa.